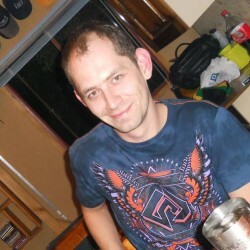 @Gerrit is a 34 year old Gay Male from Richards Bay, KwaZulu Natal, South Africa. He	is looking for Friendship, Relationship, Chat, Workout Partner and Casual. I'm a single, energetic and open minded guy. I love going to gym, reading, and spending time with friends. A like minded individual, who knows what he wants in life. He must be able to go to gym with me, but I am not averse to a few extra kilo's. This is not a racist thing guys, but I prefer white guys only!